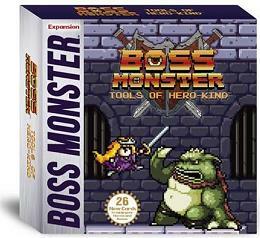 The adventurers strike back in this 26-card mini-expansion for Boss Monster!New Item cards power-up Heroes with abilities like Cheat Code and Extra Life. Can your Boss handle the challenge? Requires Boss Monster: the Dungeon-Building Card Game to play.